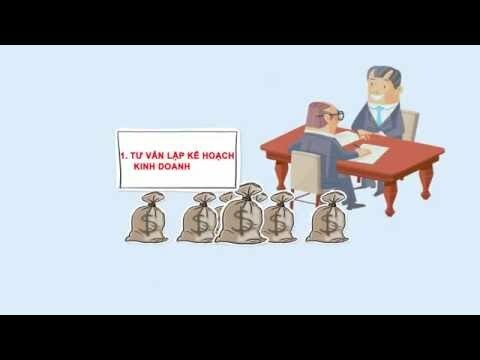 The Vietnamese Investment Law amended in 2014 provides various options for structuring investment activities of foreign investors investing in Vietnam. The most popular choice for foreign investors is to set up a company by 100% foreign owned capital or joint with local individual(s) or company(ies) to set up joint venture company. Foreign investor/founder can be individual or company depending on the decision of the investor. One member limited liability company (one individual or legal entity investor). Two and above members limited liability company (two to fifty individuals or legal entities investors). Joint stock company (JSC) (minimum three individuals/ legal entities investors – no limit for maximum). Operation term of company: 2014 Enterprise Law does not regulate the operation term of a company. However operation term of a foreign invested company is followed by term of project. The Investment Law regulates the maximum term of project is 50 years. In special cases, the term of project would be considered to be longer but not exceed 70 years. Projects term is allowed to be extended by an application sending to licensing body within six months before end of the term. Business Co-operation Contract (BCC), a form of investment applied to project co-operated between one or some local investor(s) with one or some foreign investor(s) usually by legal entities. This form of investment does not create a new entity but managed by board of members appointed by the investors. Public private Partnership (PPP). Investors or project Enterprise sign PPP contracts with competent state agency to implement investment project to build or renovate, upgrade, extend, manage and operate infrastructure works or to provide public services (Legal entity is not appeared). Performing the function of a liaison office. Promoting cooperation projects of the company in Vietnam. Monitoring, speeding up the implementation of contracts signed between the company and Vietnamese partners or related to Vietnam market. Representative offices of foreign services suppliers are permitted to be established in Viet Nam, but they shall not engage in any direct profit-making activities. Branch: Unless otherwise indicated in each specific sector or sub-sector of WTO commitment Schedule Accession of Vietnam, the establishment of branches is unbound. Foreign entities are also allowed to do business in Vietnam by contractor agreement under the Law on Tendering. Foreign contractor or machinery provider can participate into international bidding tender to build factory, construction work offered by Vietnamese organizations. Based on the contractor agreement, foreign contractor is allowed to set up contractor’s office in Vietnam to manage, perform the agreement.